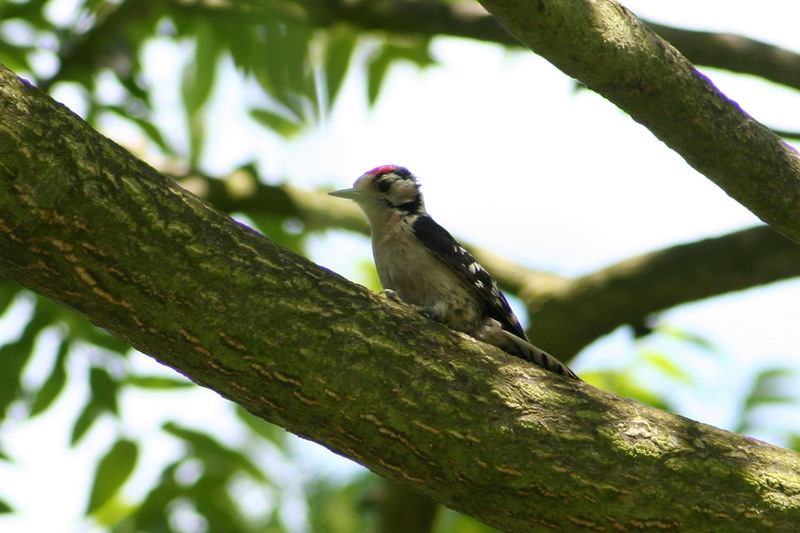 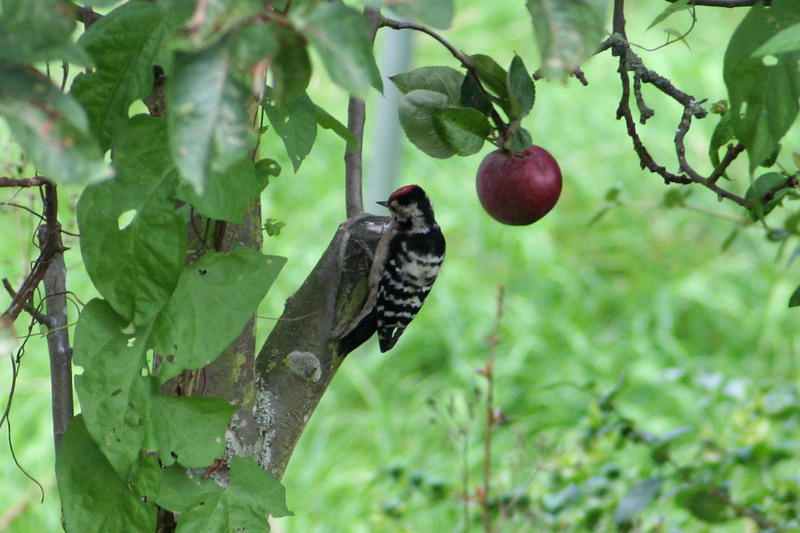 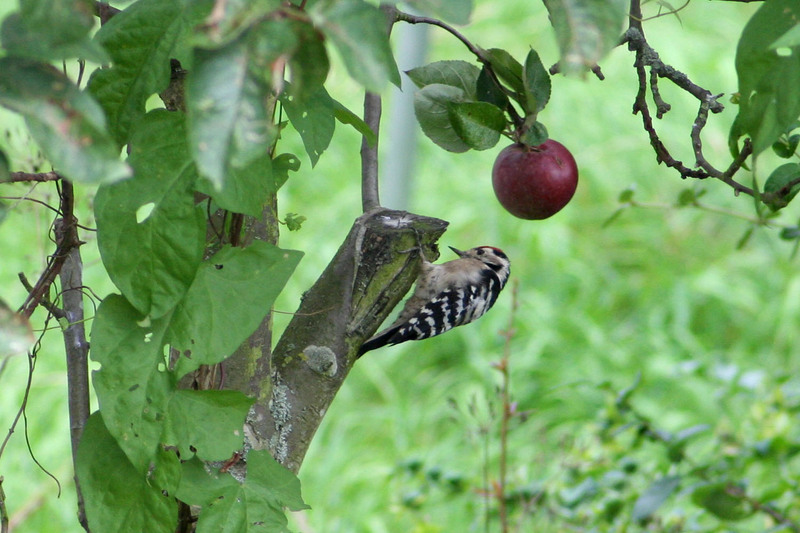 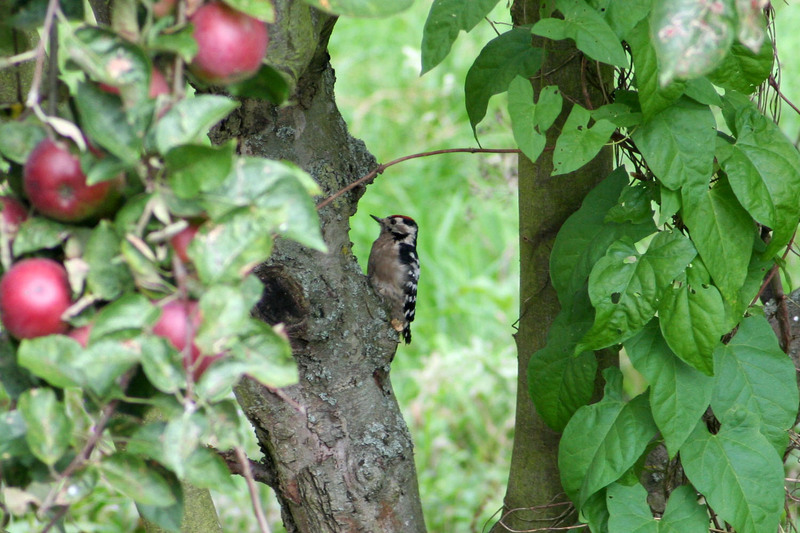 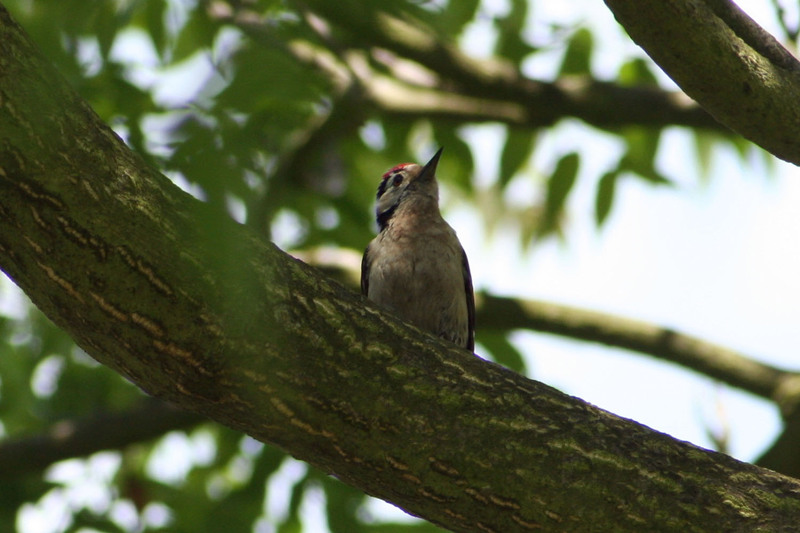 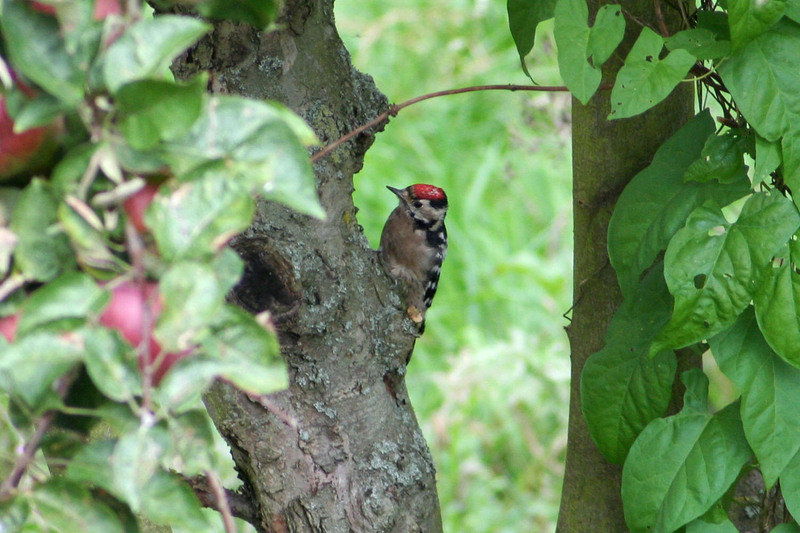 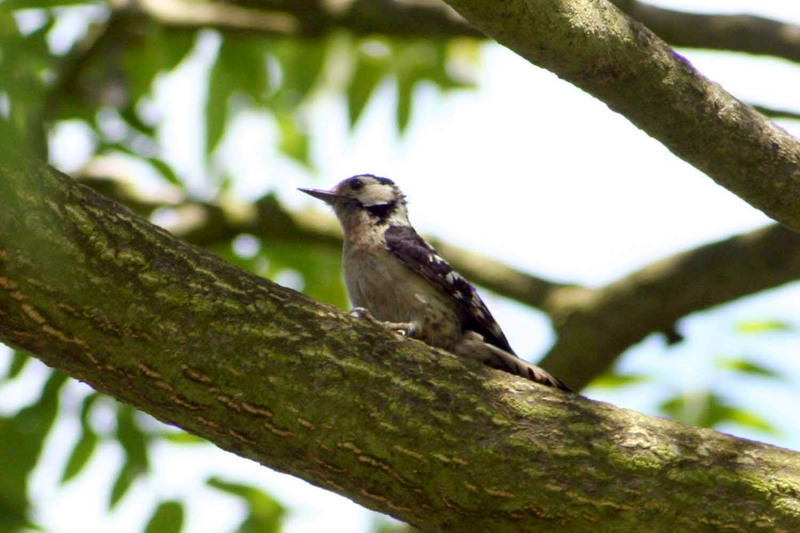 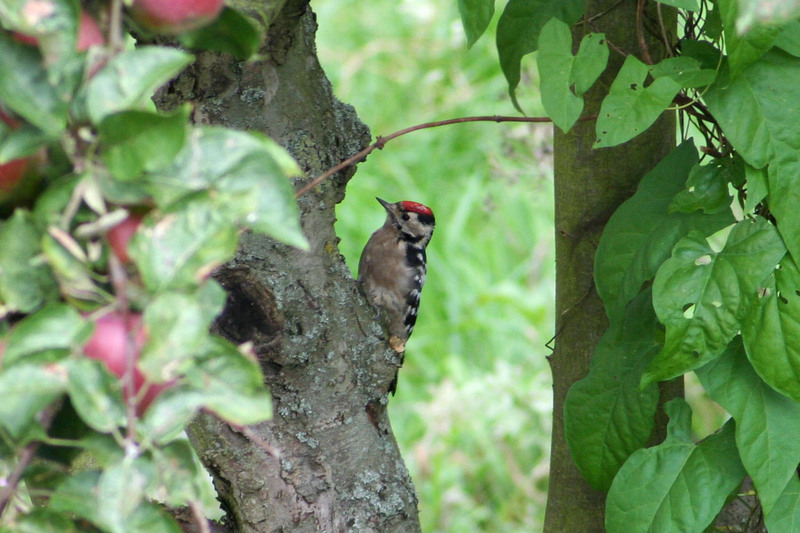 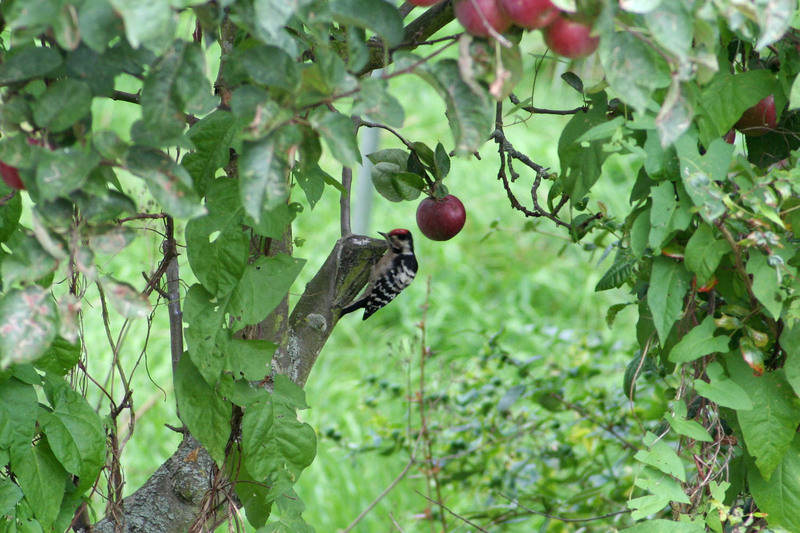 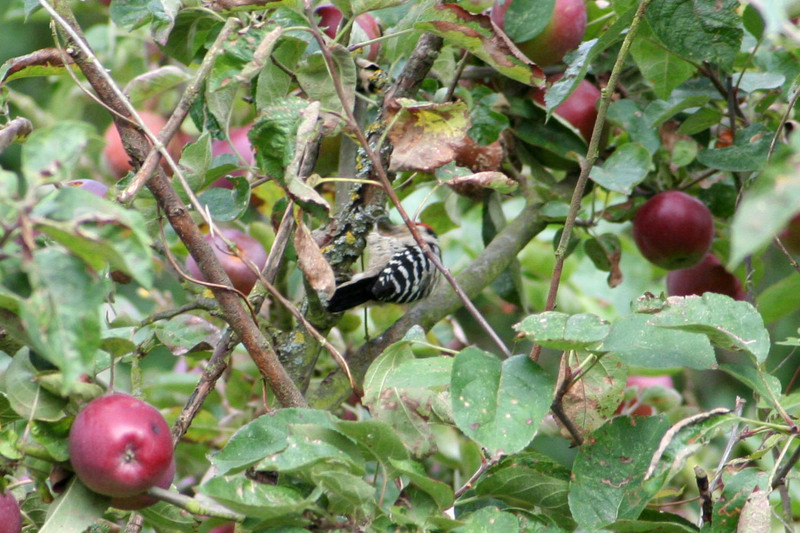 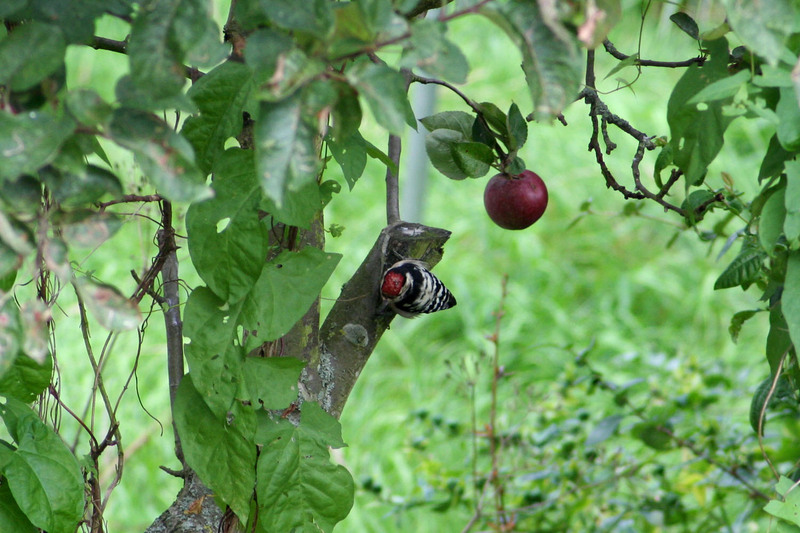 The Lesser Spotted Woodpecker is a fairly rare bird and not at all common in gardens, although this is where these image were taken and as the apple tree shots suggest it does prefer orchards. 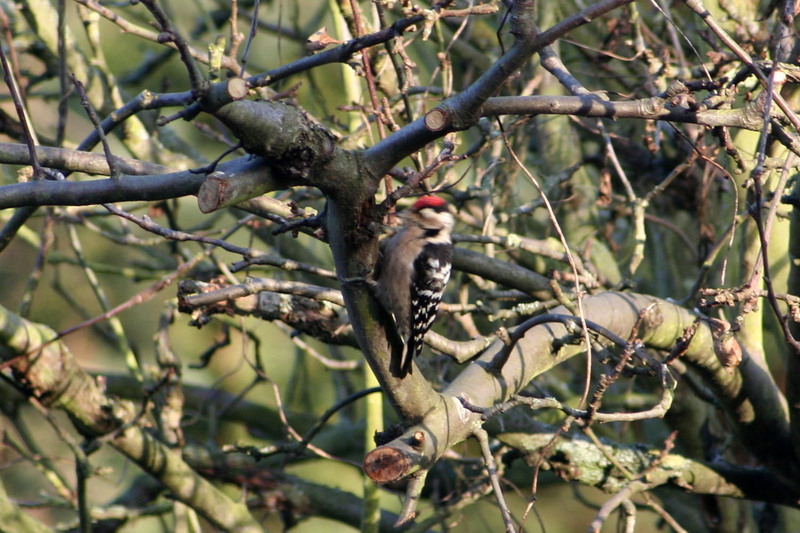 Similar at first glance to the Great Spotted Woodpecker but the Lesser Spotted is much smaller and has no red on its rump. 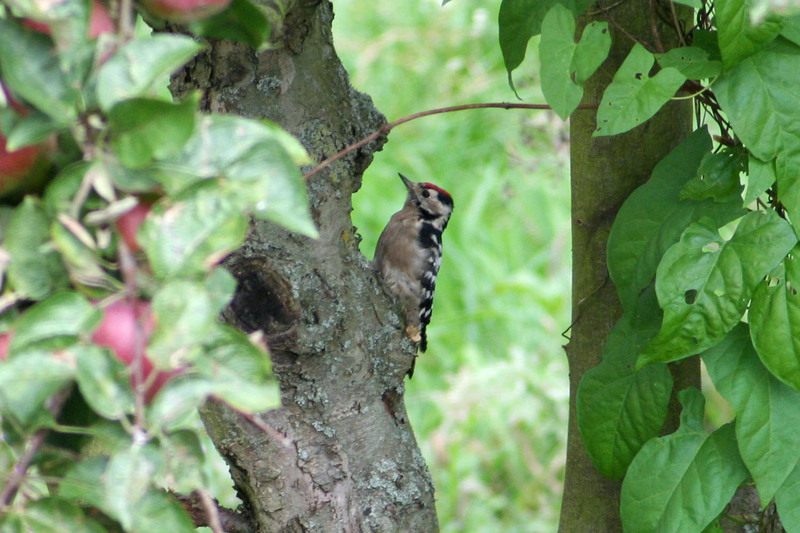 The male bird had a red cap which the female lacks.